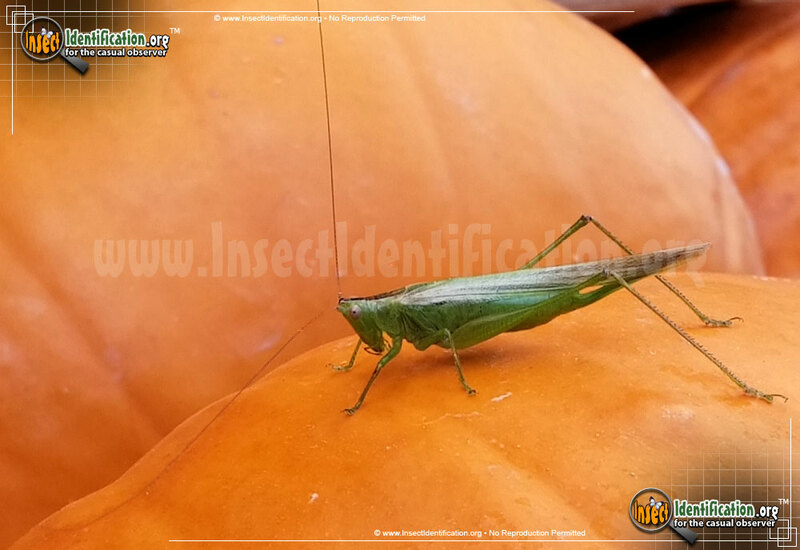 Detailing the physical features, habits, territorial reach and other identifying qualities of the Slender Meadow Katydid. The long wings of the Slender Meadow Katydid cover the sword-like ovipositor found on females. 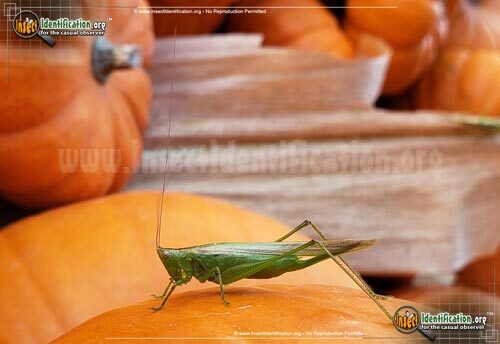 Katydids are related to crickets and grasshoppers. They have the long antennae and long, bristled back legs. The Slender Meadow Katydid has a narrow body, and its wings extend well beyond its abdomen. It is green overall, with reddish-brown hues on the wings and legs. A small patch of brown sits behind the head. Males have green cerci - two tiny projections at the tip of the abdomen that are brown in other species. This species is found all across the U.S. and southern parts of Canada. When resting on a stem or young branch, it stretches out and blends into the environment. Like moths, Slender Meadow Katydids are attracted to lights at night. They hide from birds during the day and climb to the tops of plants under the cover of darkness. Adults enjoy feeding on grasses and the seed heads of grasses. They produce a soft, quiet sound, unlike the shrill chirps of crickets. Look and listen for them in meadows, fields, prairies, and other grassy areas during summer and autumn.